… because I clearly recall the Cons lambasting the Grits and Dippers, not so long ago, for being in bed with the separatists. Ahhhh… but not the BQ type of separatist, but the PQ species. They’re different, you know. Or could it be that the Harperites are desperate to build some bridges in Québec and it matters not with whom they do the horizontal bop. 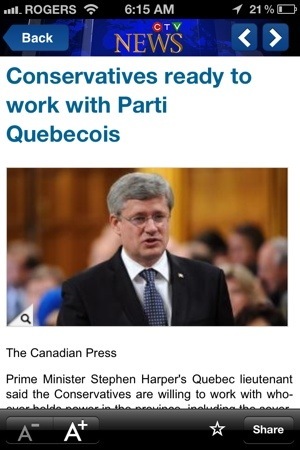 As usual CPC = hypocrisy and cynicism in action!